Peppermint oil is derived from the steam distillation of the peppermint plant (Mentha piperita). Peppermint is actually a hybrid mint; a cross between spearmint and watermint. Peppermint oil’s active constituents include menthol, methyl esters, and menthone. Peppermint oil has a long history of medicinal as well as therapeutic use and it is also available in tablet and capsule form. It is also used in numerous recipes as a flavoring agent. Some of the nutritional constituents of peppermint and peppermint oil include; magnesium, calcium, manganese, iron, folate, potassium, copper, vitamin C, omega-3 fatty acids, and vitamin A. As a natural muscle relaxant and painkiller, peppermint oil is beneficial in soothing sore muscles, aching back or headaches. Studies show that topical application of peppermint oil for pain relief is effective and has been successfully used in case of Myofascial Pain Syndrome or Fibromyalgia. Used alone or in combination with capsaicin or eucalyptus, peppermint oil has been proven to come in handy for those suffering from muscle pain. Peppermint Oil has been proven to have impressive effects related to hunger cravings, either diffused or rubbed (chest or temples). Decreased cravings have been reported after peppermint oil use, so if you need to control your hunger cravings, peppermint oil is a practical solution. In 2008 a study was conducted (Effects of Peppermint Scent on Appetite Control and Caloric Intake). This study showed that in those cases when peppermint oil was inhaled every two hours, food cravings decreased, and this led to a remarkable calorie intake reduction. If you’re looking for a natural energizer, much healthier than dangerous energy drinks, than peppermint oil is the solution. Mood-boosting and improvement of general tonus have been reported after peppermint oil use. You can use it in a diffuser, or you can just rub a few drops on the back of your neck or your shoulders, and it would help bring your good mood back. You’ll feel full of energy again. For those suffering from chronic fatigue, peppermint oil can improve concentration and focus. If you had a stressful day, peppermint oil could easily alleviate stress or pain after an exhausting day. For this purpose, it can be used in multiple ways: direct inhalation, topical application, diffusion or few drops in a hot bath. Its refreshing effect would energize you, while the cooling properties will help in body pain removal. It can be used alone or in combination with other oil, like lavender oil and sweet orange oil. Studies have been conducted about peppermint oil’s nausea reducing the effect, and the results were impressive. Using this oil for reducing nausea (especially the one induced by chemotherapy) often works better than classic medicines. Rubbing it behind your ears, diffusing it or adding a drop into your water can ease your nausea symptoms. If you feel your sinuses are clogged or you suffer from a sore and scratchy throat, peppermint can help you. Peppermint oil has analgesic and anti-bacterial properties and could alleviate the sore throat pain and also reduce swelling. Menthol, the core constituent in peppermint oil, has soothing and cooling ingredients that would relieve your blocked nasal passages and also would unclog your sinuses. In case of a sore throat, one of the most effective remedies is in a gargle (you can also add salt). Peppermint oil, with its cooling and soothing properties, can be beneficial by easing the pain babies feel when teething. In this case, peppermint oil can be used mixed with coconut oil and rubbed on baby’s gums. You can easily improve your shampoo by adding a few drops of peppermint oil. This would help energize you and stimulate the scalp and at the same time. It would also rejuvenate your hair follicles. The hair follicles will live longer and perform better, thus leading to hair growth increase. Among other beneficial effects on hair, peppermint oil prevents hair loss and hair thinning. Peppermint oil can be successfully used to remove lice, as they detest the smell of peppermint oil. This oil is often used as insect and bug repellent. Adding a few drops of peppermint oil in the shampoo, or in the water you use for cleaning your hair is quite effective. Using a nit comb after washing and drying are also useful. This oil is strong so be cautious when using it on children’s hair and body (pay attention so that it doesn’t get into their mouth, eyes or nose). Peppermint oil is a strong antiseptic, and this makes it an effective solution for lice removal. In case you suffer from achy joints, you can apply few drops of peppermint oil (it can be mixed with lavender oil too) and with its soothing and cooling effects, would ease the joint ache. This oil has great effects on eliminating dandruff and improving scalp’s health. Peppermint oil stimulates local blood flow, and this leads to longer follicle life and activity. Peppermint oil’s anti-inflammatory properties are perfect for soothing irritated and itchy scalp. Peppermint oil used alone or in combination with eucalyptus or clove oil may reduce symptoms of allergy. Peppermint oil has strong muscle relaxing effects and can help with nasal congestion during allergy high season. In treating headaches and migraines, peppermint oil is one of the best options. It is one of the most well-known natural remedies for such conditions. If you often get (stress, tension) headaches, accompanied by dull pain and even nausea, peppermint oil, with its analgesic properties can effectively help. Topical application, on temples, forehead or behind the neck can bring about a fast headache and migraine relief. This oil has calming and anti-inflammatory properties and added to your body lotion can contribute to your skin’s good condition. In combination with other essential oils, like lavender or clove oil, applied topically, can improve psoriasis and eczema conditions. Its cooling effects would ease the unpleasant sensations caused by eczema and psoriasis. Peppermint oil is a natural and affordable ingredient that can easily replace facial products found in stores which are often expensive. This oil can do wonders for your overall health and especially for your facial skin. For a glowing facial skin, you can try using an exfoliating scrub that contains peppermint oil. It would brighten up your skin face and, with its antiseptic properties, would help with acne. The cooling and nourishing properties of peppermint oil make it perfect as an ingredient for lip balms. It would help end your dry and cracked lips story quickly. Peppermint oil, coconut oil, shea, and beeswax-based lip balms will carefully hydrate and restore your lips’ condition. Peppermint oil is a very good solution for oil secretions control. It prevents acne from spreading, due to its antiseptic properties, prevents pore clogging, soothes and heals old acne wounds with its anti-inflammatory properties. You can add a few peppermint oil (and eucalyptus oil, if you want) drops into your makeup removal bottle. Watch out for your eyes, nose, and mouth! Peppermint oil’s anti-inflammatory properties may help with itchy and irritated skins and its cooling effects would reduce the burning or the itchy sensation. Moreover, peppermint oil’s antiseptic action would clean your skin of bacteria that can infect your itchy skin areas. A few drops of peppermint oil in a carrier oil, such as coconut oil, olive oil, jojoba oil, almond oil, argan oil, grapeseed oil or moringa oil, would surely decrease the itching sensation and would accelerate skin healing. The main ingredient in peppermint oil is menthol, a substance that reduces inflammation and cools down burning sensations. In case of oven burns, scalds and steam burns, use a peppermint oil spray made of 100 ml water and 20 drops of essential oil (don’t forget to shake it well before use). The analgesic and cooling properties of menthol are perfect for sunburn effects. This essential oil would relieve burnt skin pain, provide cooling and would reduce swelling, inflammation, and redness. If you want to use peppermint oil on sunburn skin, just add a few drops of oil in your body lotion or mix some coconut oil with a few drops of peppermint oil and then apply on the burnt skin. One drop of peppermint oil on a cotton swab applied straight on the aching tooth can easily numb the pain. The oil would reduce inflammation and clean the area with its antibacterial properties. Menthol also has anesthetic properties and will efficiently numb pain too, providing relief. Peppermint oil has been used for centuries for fresh breath. With its antibacterial, anti-inflammatory, cooling and antifungal properties, peppermint oil can help those suffering from bad breath (medically called halitosis). Peppermint oil can be used both mixed with your toothpaste or with your mouthwash. Daily use would leave your mouth refreshingly clean and would also prevent cavities. Peppermint oil, when used topically, on the tongue or under the nose, or as an ingredient in a spray (300 ml water with 10-15 peppermint oil drops), will boost concentration, alertness, and focus. Peppermint fragrance would focus your senses, keep your mind awake and improve your memory, and as a well-known headache reliever, peppermint oil could also relieve mental fatigue. For ADHD, peppermint oil is a great remedy/treatment, as it is also great for focus. For improving concentration, this oil is effective both in topical application (on palms, for example) or diffused. A study conducted by University of Cincinnati researchers has shown that peppermint oil inhalation increases alertness by 30%. Used alone or part of blends, peppermint oil remains one of the best options for those using it for ADHD. Peppermint oil’s cooling properties are not efficient only in burns, relaxation or for fresh breath, but are also great to bring down fever (both in children and adults). You can mix coconut oil with a few drops of peppermint oil and rub it on neck and bottom of feet. 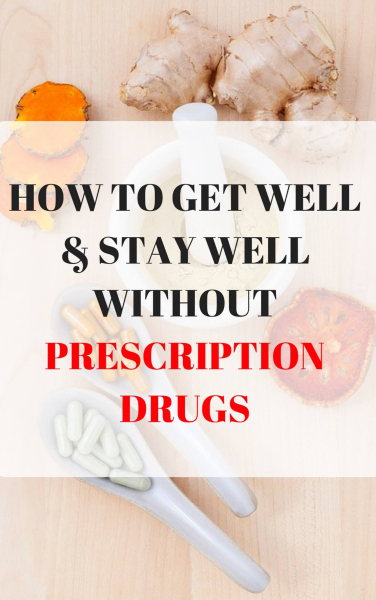 This will stabilize the fever and also improve general mood. This oil works well for pets too, not only for humans. Peppermint oil is a natural and safe treatment for parasitic dog infections. Using a spray with peppermint oil, tea tree oil, citronella, and eucalyptus oil, and water, on your dog’s fur, would protect your dog from flea (use this every other day). Do not use this solution for cats, as they are much more sensitive to essential oils and fragrances. 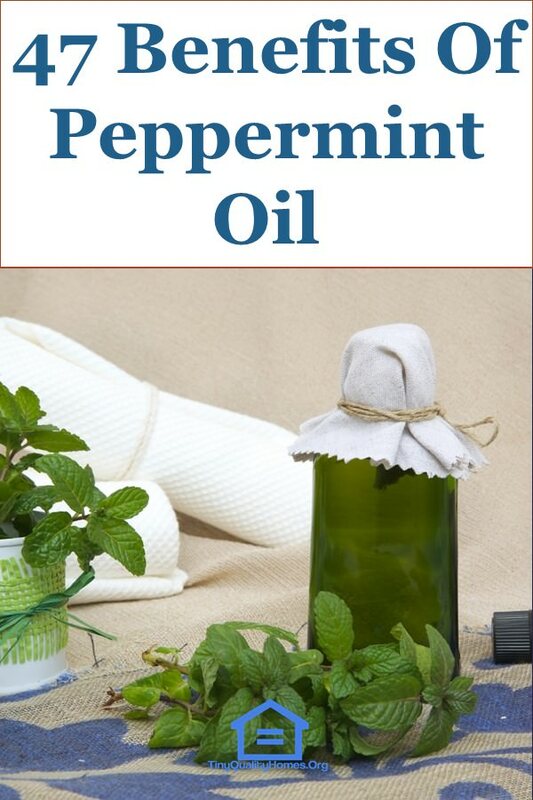 Peppermint oil is a very effective and strong bug and insect-repellent. If there are destructive insects in your garden, then using peppermint oil, to deter them, is an effective remedy. Not only fleas hate the peppermint fragrance, but spiders, ants, ticks, mosquitos, lice and even cockroaches too. You can easily prepare your natural repellent floor cleaner to efficiently keep bugs and insects away. Either you soak some little cotton balls with few drops of peppermint oil, or you prepare a water-based spray with peppermint oil, witch hazel oil, and oregano oil, both are great solutions to curb infestation. Not only insects and bugs can be kept away with peppermint oil, but mice and rats too. If you have encountered such visitors in your house, especially in the kitchen or in the storage area, it would be a good idea to place some peppermint oil infused cotton balls in your kitchen corners and even in your cabinets (this comes with a pleasant fragrance bonus too). In the garden, you can spread used tea bags you have soaked peppermint oil on and replenish them as needed. Peppermint Oil has been proven to bring hormones to a balanced state and also to help in PCOS condition (polycystic ovarian syndrome) by decreasing androgen hormone levels (like testosterone, for example). With its strong anti-inflammatory and antiseptic properties, peppermint oil can have an impressive effect on your teeth’s condition, by preventing, reducing and even eliminating cavities. Beyond the fresh breath, peppermint oil can help you to properly maintain the bacterial flora inside your mouth. You can either place a drop on your tongue every other day, or you can mix a few drops with your mouthwash or toothpaste. Peppermint Oil has some unique characteristics that help open, relax and soothe airways. This oil is an excellent decongestant. Coconut oil and eucalyptus oil, in combination with peppermint oil, make an effective homemade vapor rub that can ease asthma and bronchitis symptoms. A lot of babies manifest colic symptoms within the first three to six months of life (usually defined as crying that lasts more than three hours a day, three days a week, more than three weeks, known as the 3-3-3 colic rule). Peppermint has a very good antispasmodic action and helps gas release as well as calms intestinal spasms, providing babies visible relief from colic. Medical studies have shown that peppermint oil is as effective as Simethicone, a drug usually used to relieve colic symptoms. For colic, you can mix no more than 2 drops of peppermint oil with a carrier oil (olive oil, coconut oil, jojoba oil, for example) and rub every night on the baby’s chest and stomach (massage the belly with clockwise moves). The capsule form of peppermint oil has shown impressive results in treating those suffering from irritable bowel disease. A study has shown that more than 70% of patients who used encapsulated peppermint oil have obtained a 50% reduction of irritable bowel symptoms. Peppermint oil, as an antispasmodic, relaxes gastrointestinal smooth muscles by blocking calcium channels. This, combined with its analgesic effects, make peppermint oil one of the best natural remedies for irritable bowel syndrome. Research regarding peppermint oil usage in cancer treatment has shown that menthol, the main active constituent in peppermint oil, inhibits prostate cancer growth and spread. Peppermint oil protects against DNA damage produced by radiation and prevents cell death during classical cancer treatment. As research shows, peppermint oil has impressive effects on the digestive system, such as colic relief in babies and relaxing the intestinal muscles in adults. For those that often suffer from bloating and indigestion, peppermint oil is an effective treatment. Either consumed in the form of tea, diffused or even a drop of peppermint oil added to the water you drink, all these are practical ways of relieving unpleasant digestive symptoms. Cold and congestion in children are never a pleasure, but peppermint oil comes in handy to relieve cold symptoms without adverse effects. Massaging your little one’s chest or feet with a mix of a carrier oil (coconut oil, jojoba oil or olive oil) and few drops of peppermint oil might work effectively and mitigate congestion and cold symptoms. It is recommended to rub strong oils, like peppermint oil, on feet skin, as it is less sensitive than other skin areas and moreover, it allows faster absorption into the circulatory system. Peppermint Oil stimulates bile flow and calms down intestinal smooth muscles, and this allows food to pass through the digestive system more efficiently. This oil is also an effective remedy for reflux and upset stomach conditions. In some situations, precaution is needed, as peppermint oil relaxes the sphincter between esophagus and stomach and this can make heartburn worse. Peppermint oil can either be applied topically (2-3 drops in a carrier oil, massaged on stomach area) or taken internally (1 peppermint oil drop, one tablespoon of honey, and half tablespoon of apple cider vinegar in a glass of warm water). Due to its antiseptic and antifungal properties, peppermint oil is effective in reducing fungal nail infections, applied topically, alone or with a carrier oil. If you bite your nails, precaution is needed, because the cooling effect might not be pleasant on your “wounded’ fingers. Menthol, the main ingredient in peppermint oil, has proven to have high efficiency in treating cold and flu symptoms, especially congestion and bronchitis. Peppermint oil would help with relieving nasal congestion by thinning mucus. For this purpose, peppermint oil can be directly inhaled from the bottle, applied topically (alone or with a carrier oil) on the chest, diffused or through steam inhalation (8-10 drops in a bowl of boiling water; inhale the vapors for about 10 minutes). One of the areas where peppermint oil shows excellent results is the respiratory system. Since it has active decongestant properties, peppermint oil will clear your congestion (nose, chest) by thinning the mucus. You can even make a homemade balm that contains peppermint oil, in combination with eucalyptus oil, beeswax, and coconut oil. This balm can be applied on the chest and on the bottom of the feet. This is similar with menthol chest rubs that you can find in a pharmacy, but without the additional synthetic chemicals; peppermint and eucalyptus oil balm are all natural. You can give your brownies a unique twist by adding peppermint oil. It will offer your treat a refreshing and delightful flavor, and it works very well in combination with chocolate. But not only sweet treats can be enhanced with peppermint oil. Steaks can also get an exquisite flavor with a drop of peppermint oil, you can easily upgrade your smoothies, or you can transform your salads into pieces of culinary art with just a few drops of this oil. There are many of peppermint oil’s properties that make it fit for massages. Relaxation, cooling, muscle soothing and energizing actions will turn your massage experience into a sensorial treat. The great fragrance, of peppermint oil, makes it a desirable option for massage, and it is often used with carrier oils. Just a few drops added in olive oil, coconut oil, jojoba oil (and many others) and the massage will suddenly have more benefits than usual. It also works for scalp and facial massage. Menthol has an energizing, stimulating fragrance and in contact with human body, it feels either cool or warm and sometimes tingling. It is a natural ingredient that increases circulation in specific areas and topically awakens nerve endings. Peppermint oil can successfully be used to enhance libido or, in a carrier oil, for sensual massage. For optimal thyroid health, you may want to put 1-2 drops of peppermint oil on your thyroid gland region. This gland is right under your neck and has a butterfly’s shape. This gland controls appetite and metabolism and its activity has a critical influence on hormonal balance, optimal weight maintenance, and reproductive glands’ functioning. There are many options one can use in case of hiccups (and yes, we know hiccups are pretty annoying), and among one of the most efficient ones is peppermint oil. A drop on both sides of your neck could gradually help you get rid of the hiccup. Trash is…trash, and sometimes its smell is not very pleasant. Most people encounter this unpleasant situation and search for solutions. One of the most creative and handy ones is to put a few drops of peppermint oil on the bottom of the garbage can. Pleasant smell? Yes! Problem solved? Yes! If you care about your indoor plants and you are tired of seeing them being eaten by aphids, peppermint oil is the remedy. Instead of chemical sprays that can harm pets, children and even the plants, you can use a mix of peppermint oil and water, in a spray. Easy to apply and effective against aphids. You can mix peppermint oil with baking soda, apple cider vinegar and water, and use this mix for cleaning your countertops, bathroom and kitchen surfaces. Its antibacterial properties make peppermint oil an impressive cleaning agent. With peppermint oil, you would be able to enjoy clean and fresh smelling kitchen and bathroom every day.